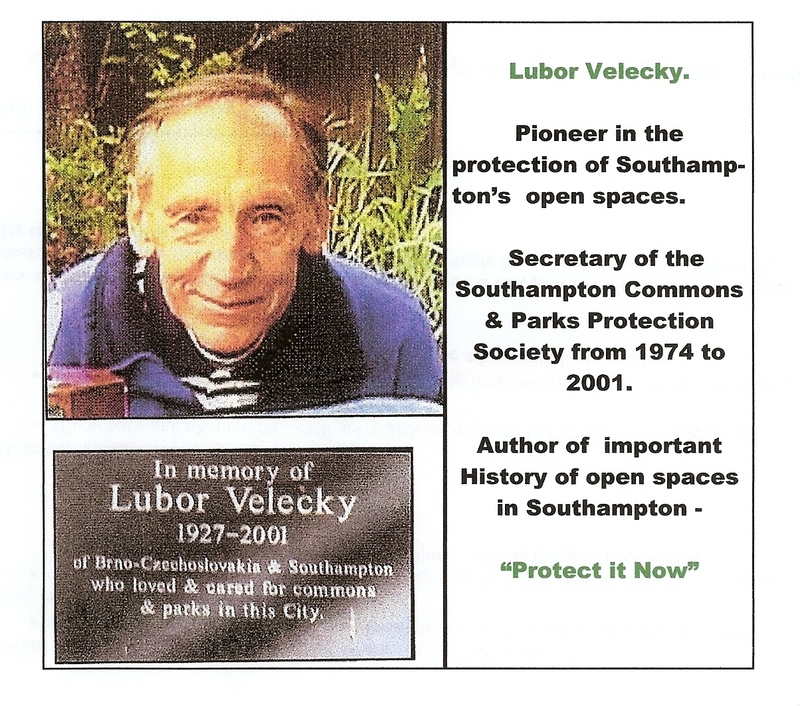 **Pioneers protecting our open spaces.(92). 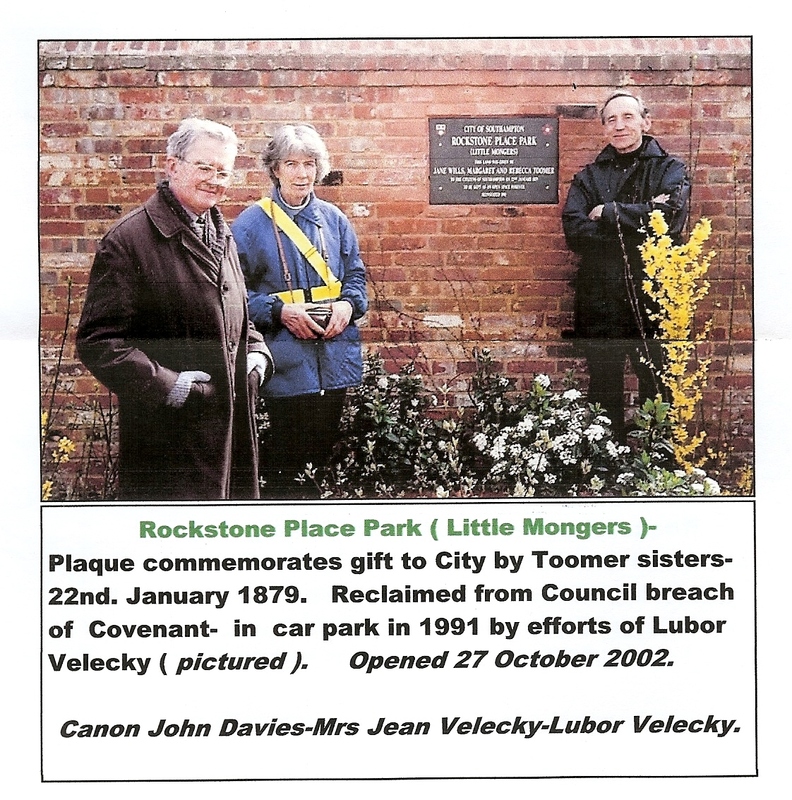 Gratitude to the Toomer sisters for donating Rockstone Place. He led the “Big Fight”. 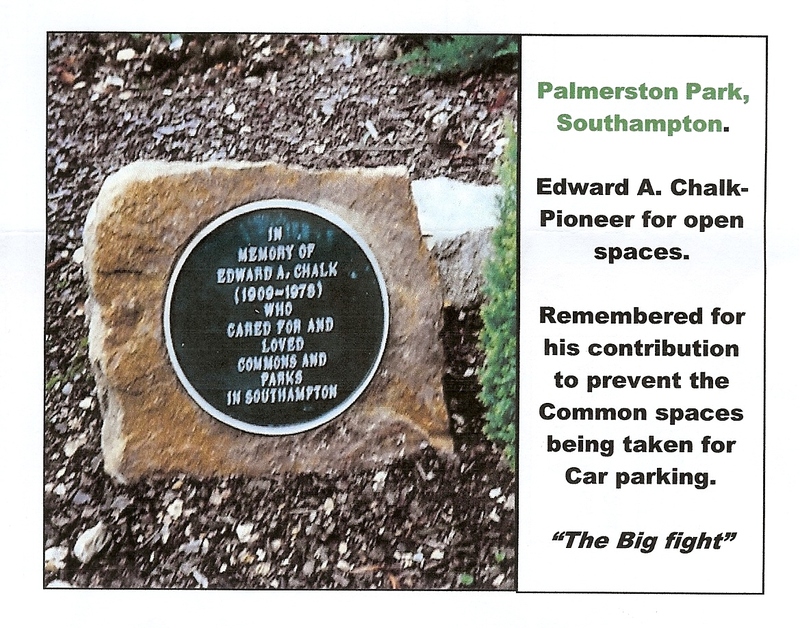 We should remember that these pioneers achieved so much because they were supported by the members of their Society-the ‘Southampton Commons & Parks Protection Society’. People who care for their open spaces. Sadly, the need for protection and awareness continues. 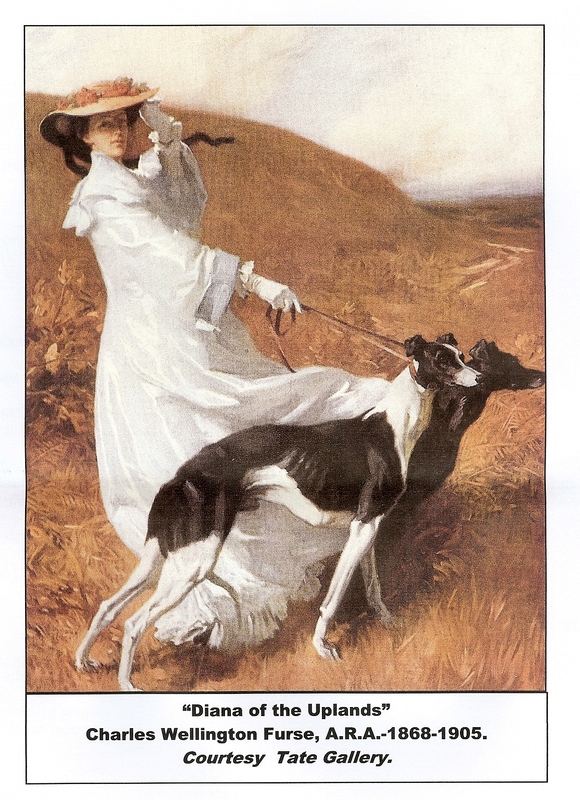 The provision of improved access facilities for people & their dogs-( pets ) is a challenge for this 21st. Century to overcome. Historically Southampton has its ‘working space’ building-the Civic Centre-not just an office but a variety of facilities for the benefit of its citizens. Its Clock Tower ( Blog 34 ) an icon which serves us all. 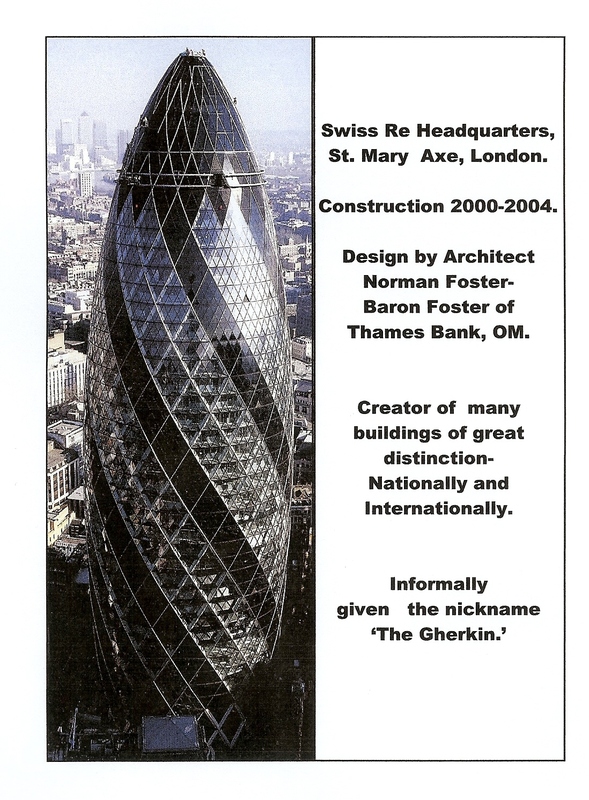 A credit to its Architect – E. Berry Webber & Council Leader Sir Sydney Guy Kimber-years past before Iconic features were a popular creation. The proposed Spitfire feature -in the Trafalgar Docks’ site (Blog 27) may be attractive but access not easy for people to view. We need an icon for R.J.Mitchell in the City Centre. The Sea Museum’s Pavilion being added to the Civic Centre resembles a sinking ‘Titanic’. 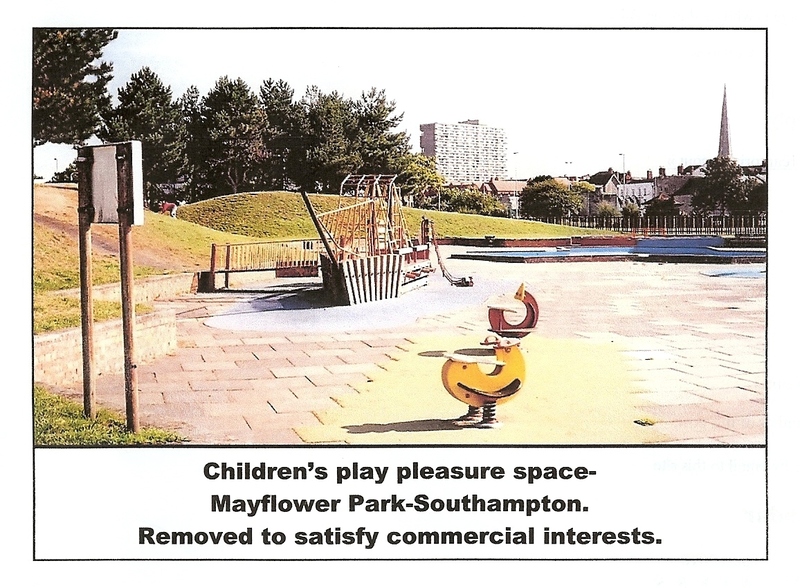 Weather permitting-a joyful water space. 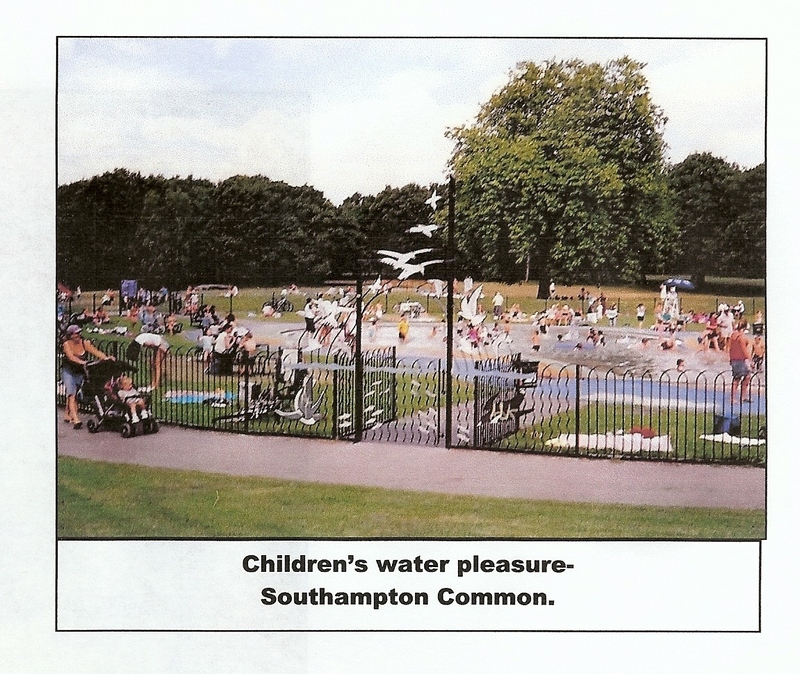 Southampton’s community is large-families with children would enjoy such water opportunities as the Common provides. Clean water, good facilities. But not available easily to many youngsters. 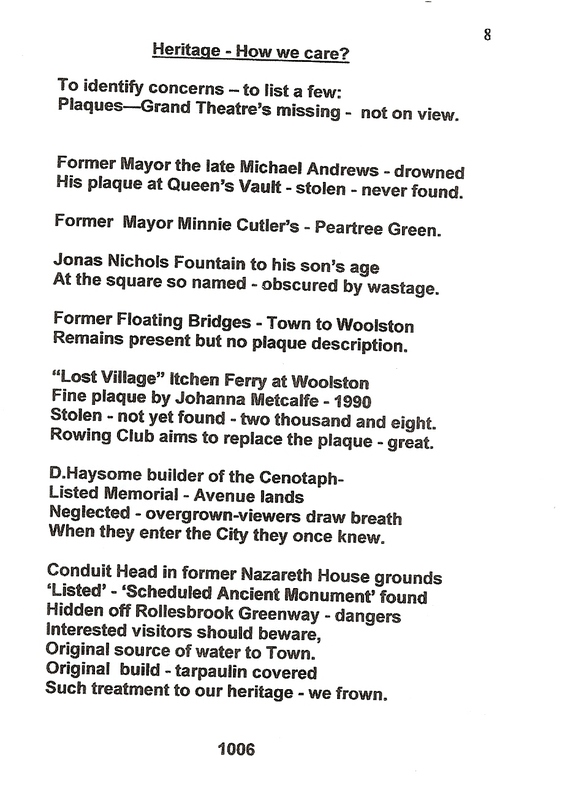 Memory stirs-remember the predecessor to the present pool was the ‘Cowherds’ lake-very deep in the centre-enventually infilled with material from the new Civic Centre site. Then a paddling pool-before the present pool. The pool at the Sports’ Centre no longer used. The former ‘Lido’ with its chutes & space for children. Weston Shore with its mud. In this 21st Century we need a new type of water space for children-protected from the elements but near where they live across our City. 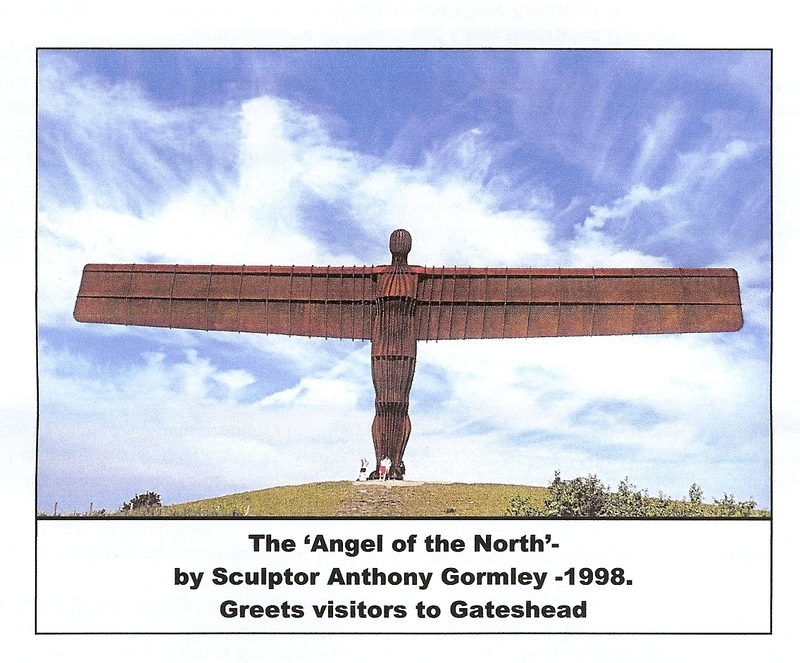 Walk from the north to / from the south at the Riverside. 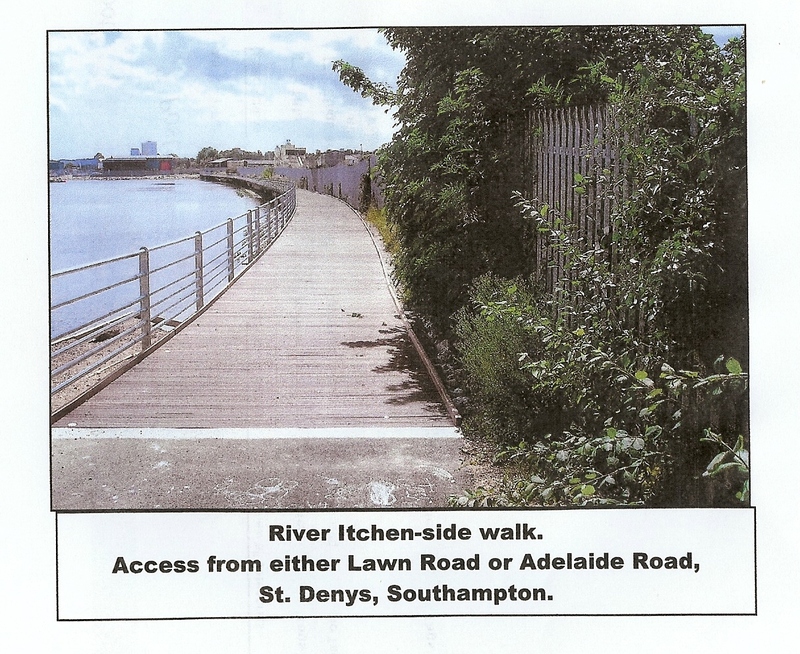 An addition to Southampton’s River-side walks. Readers may be aware of the route from Woodmill-Swaythling-north to reach Winchester by the Itchen Navigation-currently being upgraded for the Heritage Trail. Limited car parking is available on the ‘Horse Shoe’ Bridge from the Lawn Road access or the Adelaide Road access. No through route. Other waterside opportunities include Bitterne Park Recreation Ground; Itchen Ferry, Woolston; Mayflower Park; Redbridge & Weston Shore. Connection to Weston Shore from the north ( including the proposed Vosper Site ) are targets for the future? Common land is a precious asset. Safety of its users a paramount priority. 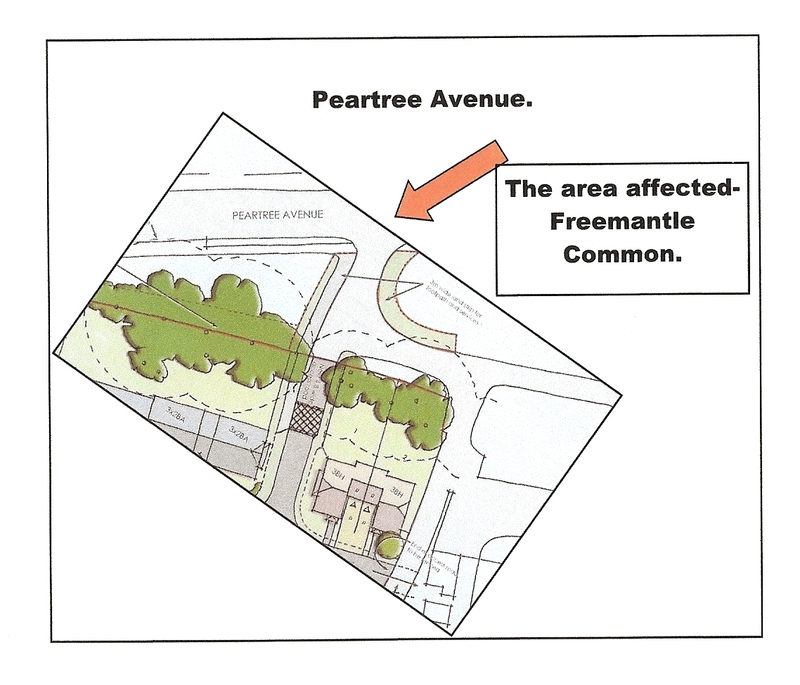 Motorcars on such narrow roads as Freemantle Common Road & from or to Peartree Green Road need careful consideration, how many of the proposed -71- room occupants , of the proposed BUPA accomodation, or their visitors, will drive cars? 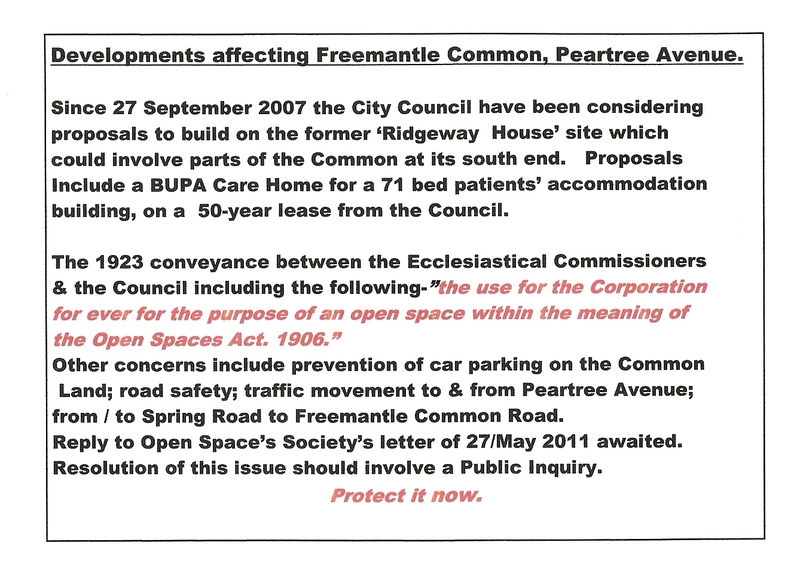 The Common must be protected against car parking abuse.